The first W ednesday of every month our Clothing Closet is open to the public from 5-7 p.m. If you have a need for clothing, it is our privilege to help in anyway that we can…..no questions asked. If you have an emergency for clothing on a day the closet is not open, please contact us at 678-697-3742 and we will do everything in our power to assist you. 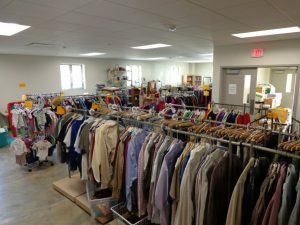 Clothing donations are accepted Tuesday-Friday from 9-4 p.m. at 271 Marietta Rd.